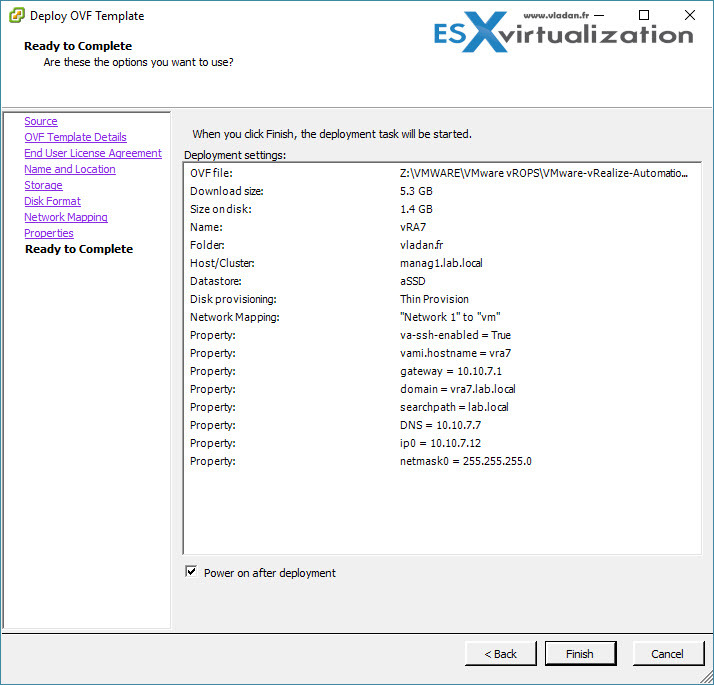 It’s been some time that vRealize Automation 7 has been released and I reported about that in my post, but still haven’t had the chance to test it in the lab. That’s why today’s post. 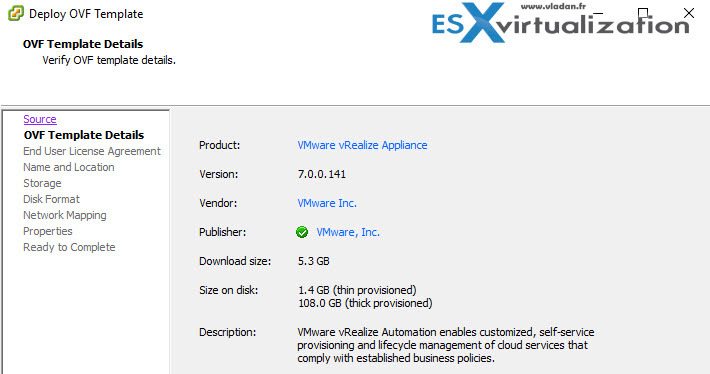 vRealize Automation 7 Simple Install is for today. Know that another type of installation is Enterprise install which is destined for medium to large scale deployments. 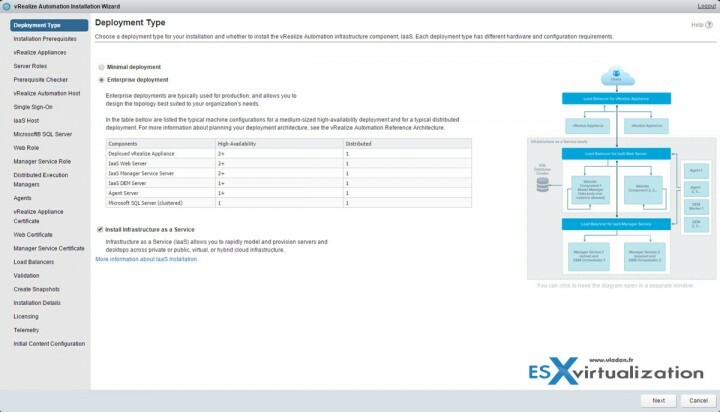 The new architecture of vRA 7 allows scalability and at the same time there is fewer services to deploy and fewer VA’s to manage with fewer external dependencies. 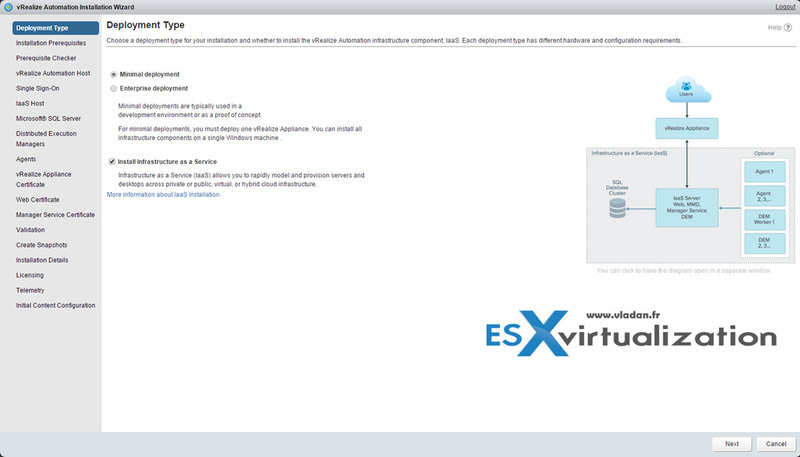 However we used separae SQL server to deploy the VRA database. The installation is less “exhausting” with less “gotchas” found in the previous release, however many new features introduced makes perhaps some additional difficulties when it comes to upgrading from previous release. 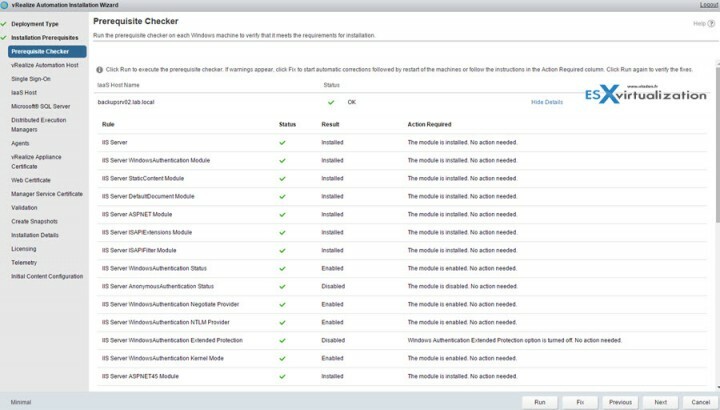 Good for the new users allowing them to deploy and test the solution more easily, but existing vRA users might scratch their heads around the upgrade workarounds…. Let’s get started, because this post will be a little bit longer than usual…. The first thing you need to do is to download the 5Gb OVA file! 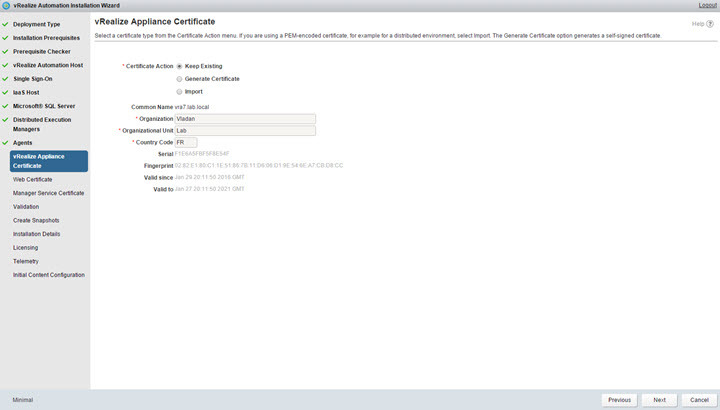 Then start the deployment by validating the OVF file through vSphere client. I particulary chose the “old” vsphere client over the web client to see if there were any issues with the deployment – nope. manual – …. ehh manually. Note that if you start any of the manual steps you must continue until you finish via the manual way. Here is the view for that, but as for this post we’ll go back and stick with minimal deployment. 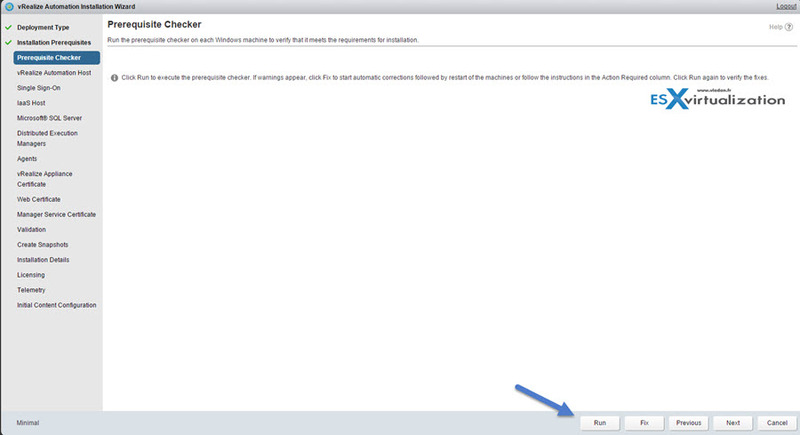 On the next screen we have link to an msi file which we need to copy… It’s a link to the Management Agent Installer. 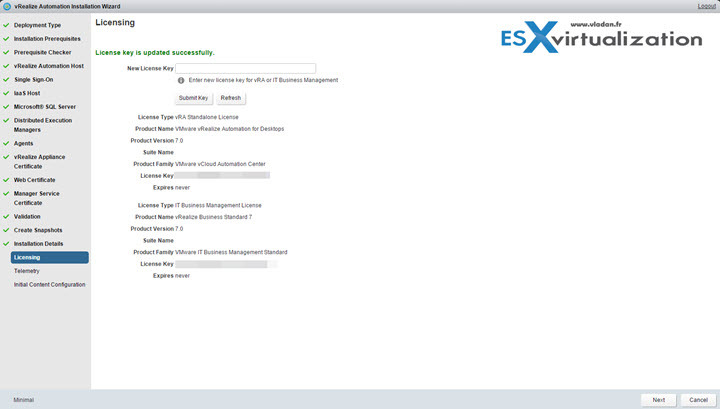 You have to install Management agent on each IaaS machine. Then go to your Windows system and start the installer, accept the license agreement and click next. 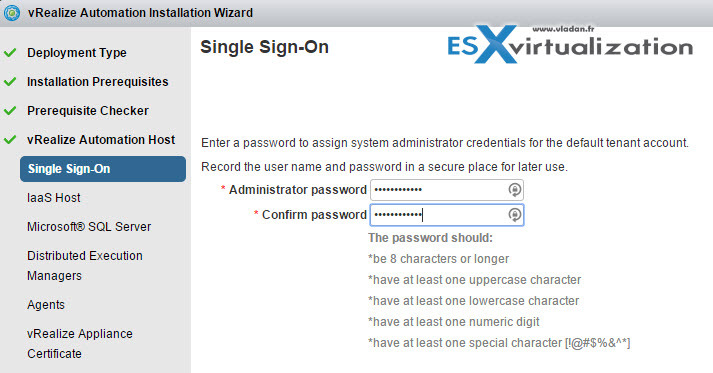 There is also a checkbox where you validate the fingerprint pulled from the appliance. 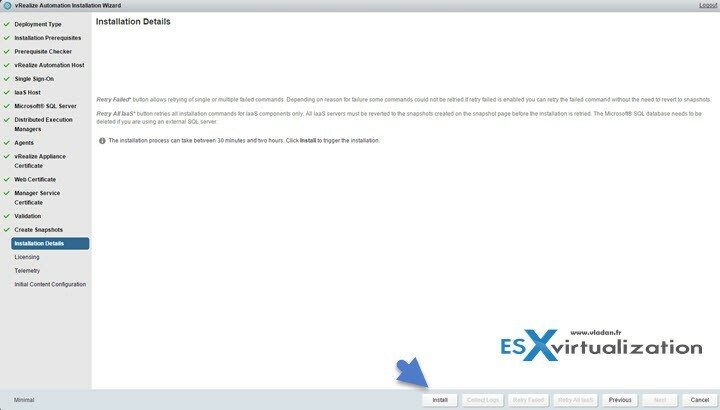 If in any case you need to reinstall VRA, you also have to reinstall the management agent as the fingerprint will be different. Make sure that your appliance has the correct time setup. 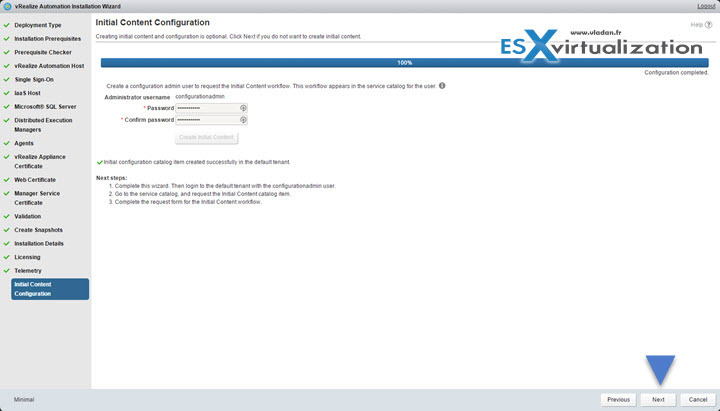 In my situation I had to adjust the timezone through the appliance console…. If you don’t have the correct time setup, the assistant throws you an error and you can’t go further! Now let’s go back to our assistant that we have started previously…. You should see a new line there – it’s the server you have just installed the agent. So far so good… I think that there are some requirements that were not met…. 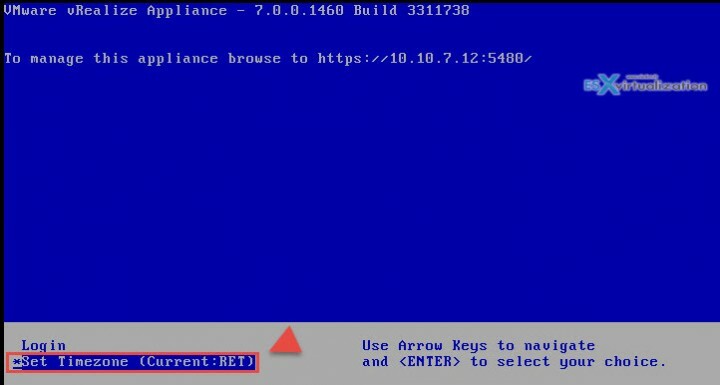 I had to go through the manual steps (perhaps also because sometimes the source ISO of Windows 2012R2 isn’t in the good path when add/remove roles/features is invoked)…. 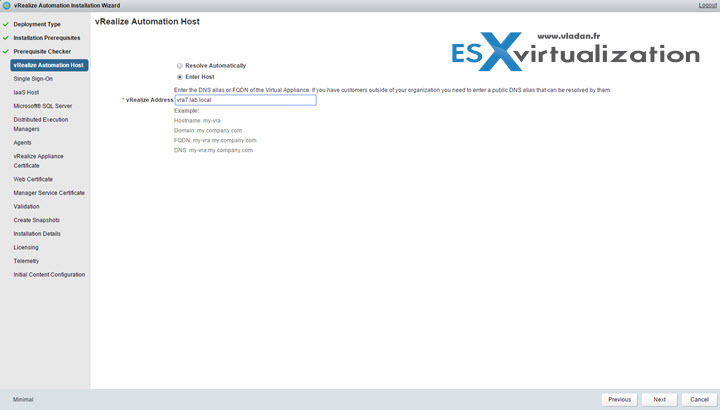 Then enter the DNS name.. but you should be also be able to leave it on “resolve automatically”…. 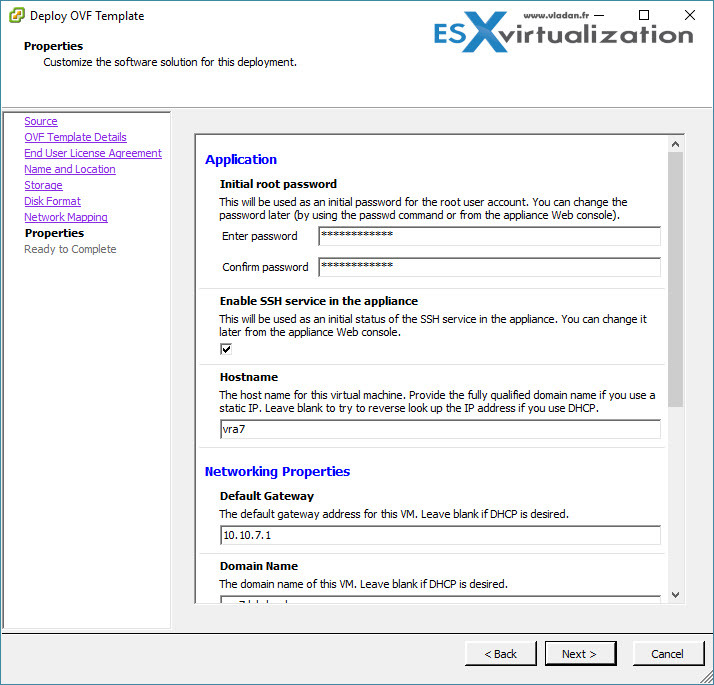 I actually used the existing empty database option finally as I created manually the vra database on my SQL server….. via SQL server management studio. Validation….. click the validation button ! It can take something between 10 min and half an hour !!! 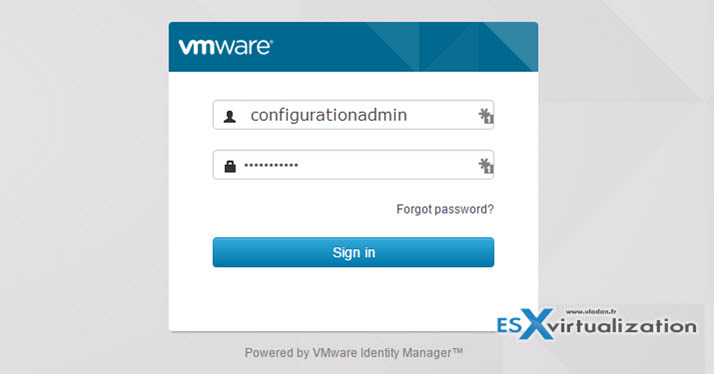 Once done you’re invited by VMware to do a snapshot of the VM !!! On the next screen we can see the notice about the installation with a message that “The installation process can take between 30 minutes and two hours”… And that you can re-try the installation of failed components (multiple or single) – with a button there. (now grayed out). 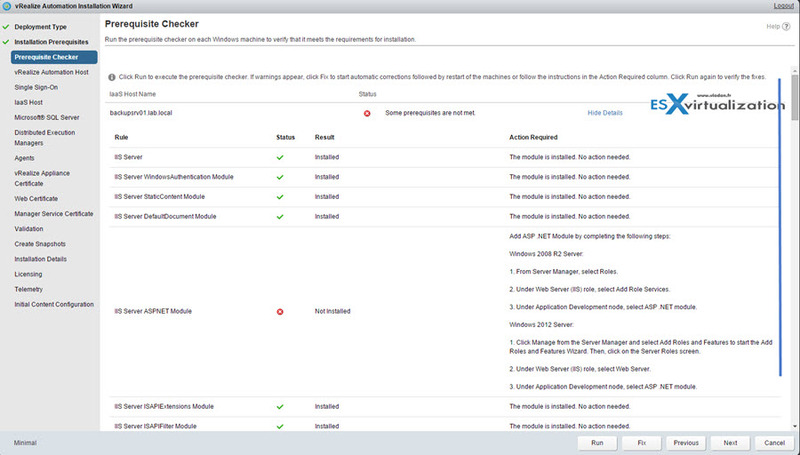 With Retry All IaaS will retry only the installation commands for IaaS components only. 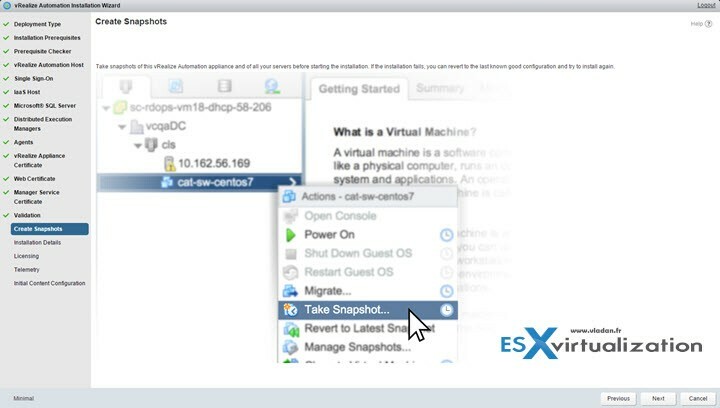 All IaaS servers must be reverted to the snapshots created on the snapshot page before the installation is retried. The Microsoft® SQL database needs to be deleted if you are using an external SQL server. I know it’s a lot of screenshots for single post, but I wanted to have it since the beginning to the end. 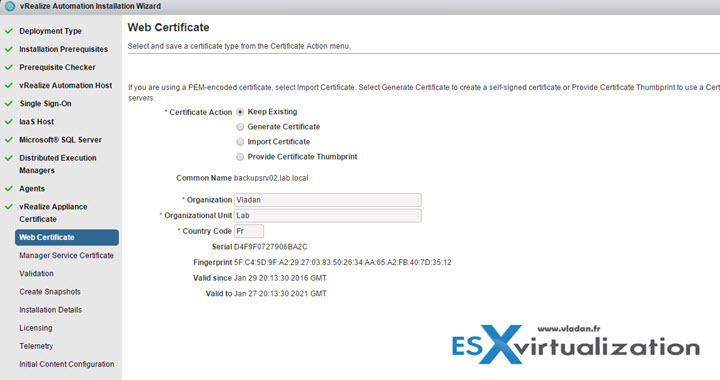 While there you can enter the license key for vRealize Business 7 as well, and the license gets added to the list. 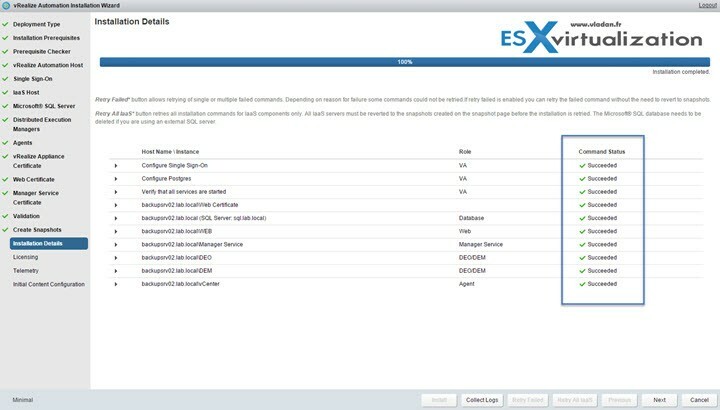 VMware’s Customer Experience Improvement Program (“CEIP”) provides VMware with information that enables VMware to improve its products and services and to fix problems. 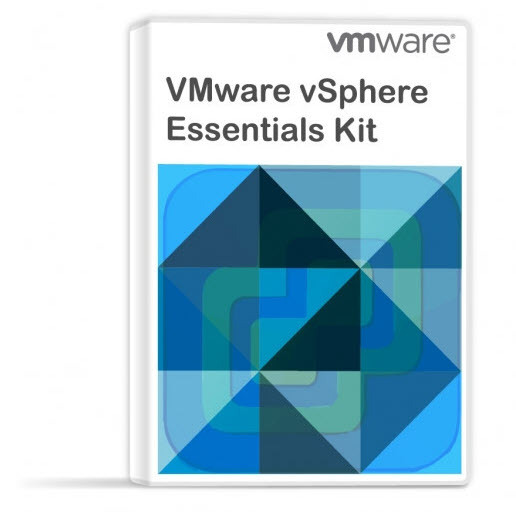 By choosing to participate in CEIP, you agree that VMware may collect technical information about your use of VMware products and services on a regular basis. This information does not personally identify you. and will create and generates some content…. 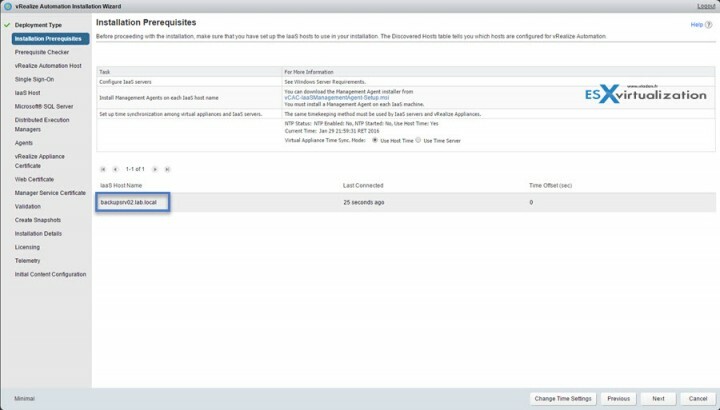 This user will be granted infrastructure admin and Tenant admin in the default tenant and vRealize Orchestrator admin in vRealize Orchestrator. The installer will automatically generate a catalog item for the configuration admin user to initiate the initial configuration process from the vRA default tenant. Click the button Create Initial Content and again, nice progress bar takes few minutes to deploy initial content. 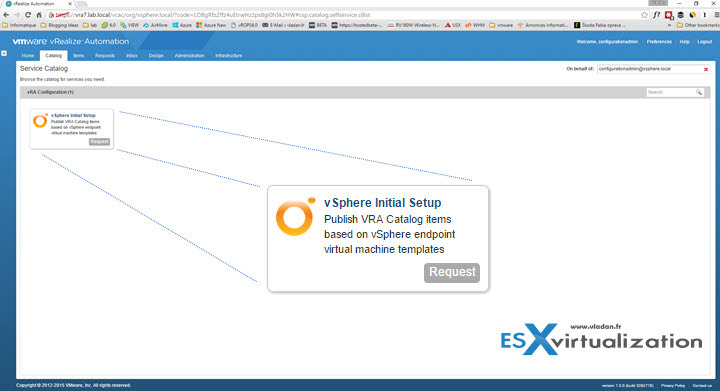 Which allows you to publish VRA Catalog items based on vSphere endpoint virtual machine templates. The installation is intuitive. It’s still tedious task and takes a lot of time (and screenshots), but for me everything worked pretty well. 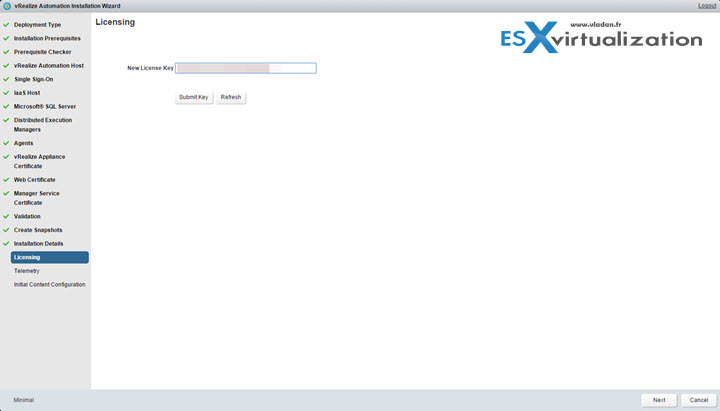 Well, the vRA 7 is up and running. Now I can remove the snapshot and create a full backup …. 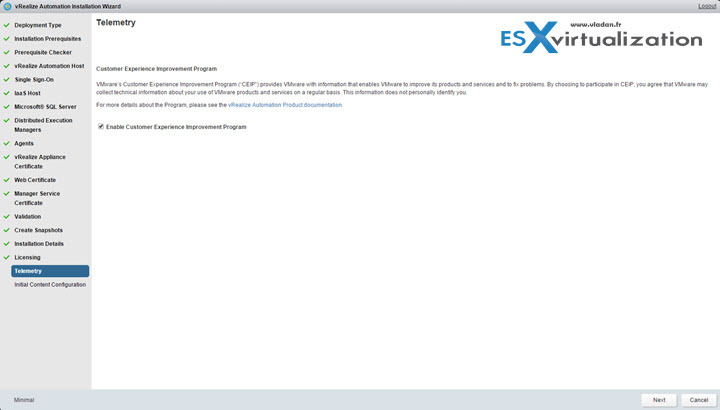 BTW, do you have any plans about NSX/VCP6-NP preparation series ? I can not download trial version, how to get one, any idea? 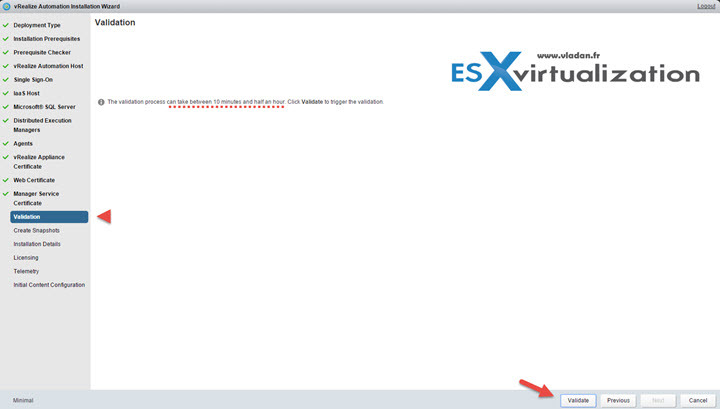 Just wanted to know can I install vRA 7.x appliance in VMware workstation as we do install vCenter? 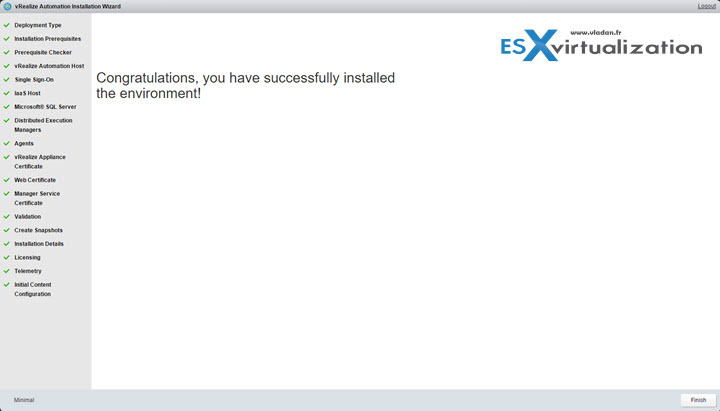 I know it can be install in nested environment but in home lab it would be difficult to install in nested ESXi host.